Good music, but not good enough, feels Aelina Kapoor. 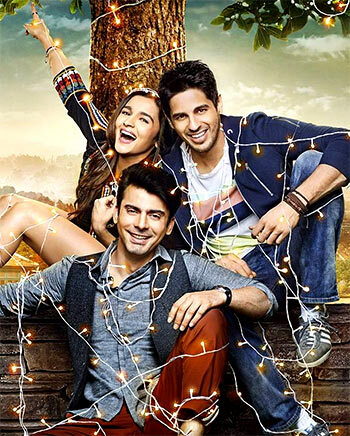 Karan Johar packs in a horde of composers, singers and lyricists in his new film Kapoor & Sons, starring Sidharth Malhotra, Alia Bhatt and Fawad Khan, and one expects him to get it right. Badshah and Fazilpuria bring back a new version of their Haryanvi track Chull. Recreated as Kar Gayi Chull, this one is a Bollywood-ish version, and includes Neha Kakkar's vocals. After Akkad Bakkad, Sanam Re, this is yet another instance of their collaboration working big time. Bolna makes its presence felt from the word 'go'. Arijit Singh sings it in a style that is very different from his earlier love songs. Asees Kaur gets her big break in this song, and she nails it right away. This is a romantic number that you would like to hear in a loop. Amaal Malik gives us a dance number with Buddhu Sa Mann, as he shares the mike with his brother Armaan. There is a clear Sooraj Dooba Hai from Roy hangover here but you don't mind it as the video brings the entire cast of Kapoor & Sons together in a playful mode. Arko, who came into prominence with Pooja Bhatt's Jism 2, gives us Saathi Rey. Just the lyrics make one wonder if the song will be in the same mode as O Saathi Mere, Tanu Weds Manu Returns but it actually turns out to be different in terms of composition. As a situation though, there are similarities though as the sad mood prevails. Badshah unleashes some dance music with Let's Nacho, and is complimented by Benny Dayal. But the impact isn't as good as Kar Gayi Chull. While the music of Kapoor & Sons holds on well, one waits to hear a soundtrack like 2 States or Yeh Jawaani Hai Deewani from the house of Dharma Productions.